I was going to title this article as “Le Hieu Dang’s Load of Crock,” but ultimately ruled in favor of the headline above, you know, for the sake of informativeness. To be fair, though, whatever Le Hieu Dang is doing in Vietnam is, in fact, a load of crock. If you’re just tuning in right now, you will soon be enlightened on who exactly this Le Hieu Dang is, and why his “multiparty” ploy is, for all intents and purposes, a load of crock. I used that phrase for decorum, I am sure you all know what I actually call it in my head. Last week, a Communist Party member, Le Hieu Dang, published an article announcing that he wants to start a new political party. Furthermore, he was encouraging current and former members of the Communist Party to join him. Apparently, he had some “grievances” with the contemporary Communist Party, and felt that the time was ripe to form his own political party and set the country back on the path of righteousness. Now you’re probably thinking: “Gee, Ian. That’s great! Someone from the Communist Party is finally stepping up and doing what they should have been doing all along! Good for him!” — Were you thinking that? No, no you weren’t. None of us were. Le Hieu Dang can go hang himself, along with the rest of those Communist idiots. I will give you numerous reasons as to why Le Hieu Dang is full of crap, and provide further proof that the Communists Party of Vietnam is, in fact, mentally handicapped. They thought this was going to work, they thought they were clever! Seriously, you guys, I actually die a little bit more inside whenever I think about those goofs in the Politburo, sitting around a big table and congratulating each other on coming up with depressingly stupid schemes such as this one. It physically hurts to think about. Before we go any further, though, I must first clarify that this is my own personal view on the matter. There is an ongoing debate right now on whether he is full of it or not, and what I have here are just a few key reasons on why I believe Le Hieu Dang is in cahoots with the Communist Party. 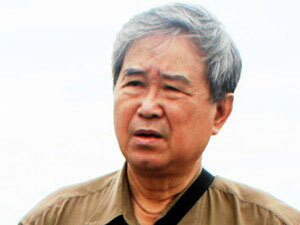 Through all of his boasting, Le Hieu Dang is still an active member of the Vietnamese Communist Party. He claims that he wants to start his own political party, but has yet to denounce his ties to the VCP thus far. He has not taken any personal responsibility as a member of the party, nor has he repudiated any of the party’s countless crimes against humanity. If he was genuinely disenchanted with the VCP and wanted to create a new party, the elementary (not to mention obvious) step of achieving this goal is to sever relations with his current political party. Le Hieu Dang has not done this, nor does he show any sign or intention of doing so. There’s the first major flaw in his plan, and that enough should make clear how bogus these multiparty claims are. All this talk from Dang about creating his own party, and all the Communists do is “express disappointment” about it in their state-run media. For a country that has no toleration for political opposition, the government is doing very little to deal with what is apparently a separate organization that is trying to establish itself. If this was real, that is, if there were actually those who had genuine grievances against the party, and was openly trying to rival the VCP, rest assured that a few dozen plain-clothed and uniformed policemen would be knocking on their door already. These said individuals would be put on show trials, their loved ones would all be beaten and harassed, and all of their belongings and livelihood would have been seized by the state and added to Nguyen Tan Dung’s retirement fund. Brutal suppression is the protocol for any form of opposition against the VCP. Yet here, the government plays the nice guy routine, pulling the ole’ “I’m disappointed with you, but I respect your decision” crap towards Dang’s BREAKING OFF AND STARTING HIS OWN PARTY. It’s so obviously bull, it’s embarrassing that they thought it would work. Seriously, guys, I think this is where the aforementioned round table discussion comes into play: All the Communist idiots sit around and congratulate each other for coming up with such a brilliant scheme; Nguyen Tan Dung claps his hands together, pats himself on the back, and hands out cookies to everyone for a job well done; Everyone forgets to swallow their saliva. To be serious though, this is not a very subtle or clever plan, and it is damn sure not original. This is not the first time that a totalitarian ruler, or in this case, rulers, pretended to show tolerance for political pluralism in a single party state. One of the most infamous cases for such a ploy can be traced back to 1956, with a political movement called the Hundred Flowers Campaign in Mao Zedong’s China. What he did then, and what I suspect the VCP is trying to do now, was provide a false sense of freedom within his Communist state. 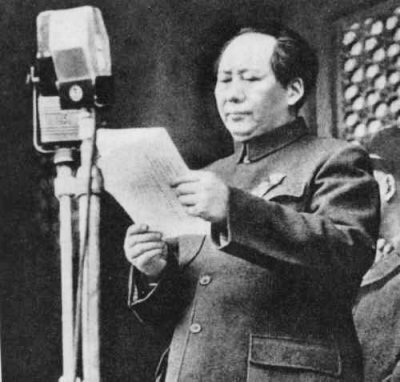 Mao encouraged anyone who had grievances with his Communist Party to express their opinions and thoughts openly. This resulted in a flood of open opposition to Mao, with many important intellectuals coming out of hiding. Once it became clear who his enemies were, Mao ruthlessly liquidated all of his targets, both inside and outside of the party, thus preserving his rule and silencing the people once and for all. Such tactics were also utilized in Vietnam by Ho Chi Minh himself, as well as his successors. 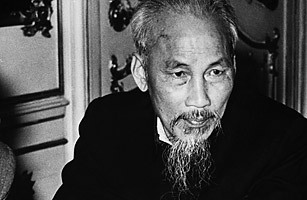 Throughout the Civil War era in Vietnam, the Communist Party, despite being a one party state, established two puppet parties, the Democratic Party and the Socialist Party to simulate multiparty democracy in Vietnam. Both parties operated under the orders of the Communist Party however, and were eventually disbanded in 1988, with dissidents leaders and believers all jailed and persecuted. 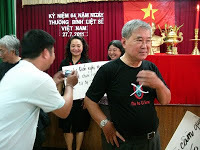 It is my suspicion that this new splintering of the Communist Party, “championed” by Le Hieu Dang, is just another trap orchestrated by the higher-uppers of Vietnam’s government. I do admit that though I strongly believe what Le Hieu Dang is doing is a dirty trick, there is no way we can know for sure at this point in time. Only hindsight will show us whether he is truthful or not. I can throw him a benefit of the doubt and say that maybe there is a chance he is being sincere. If he what he is doing is real, then great, Vietnam will be better off, and he will win my commendation. However, as someone who has witnessed nothing but lies and betrayal from the VCP, and Communists in general, I can say that the chance of Le Hieu Dang not being full of crap is extremely thin. Given their history of deception and brutality, it is no exaggeration to believe that the Communists are once again trying to flush out all of their political opponents and eliminate them, all in a pathetic attempt to prolong the party’s worthless existence. 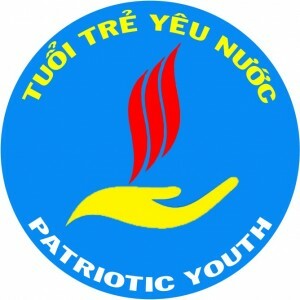 With the increasing unrest in Vietnam, concurrent with the ever-growing influence and momentum of the Patriotic Youth, aka Tuoi Tre Yeu Nuoc, the VCP is trying everything in its power to alleviate the tensions. It is my prediction that this new Le Hieu Dang situation is just another Communist trick to lure out dissidents within Vietnam, so that the party can try to hunt them down and cling to their evermore feeble grip on power. Furthermore, with President Obama’s establishment of the new Trans Pacific Partnership, which Vietnam is extremely eager to join, the leaders in the Communist Party are doing everything they can to appear civil and respectable in front of the United States. 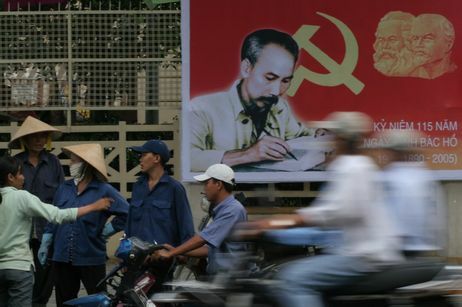 With this alleged establishment of multiparty democracy in Vietnam, the Communists are hoping to improve their image, just enough to win acceptance into the TPP. Of course however, just like in the past (i.e. like after finally getting Vietnam removed from the list of Countries of Particular Concern), the Communists will shamelessly backpedal and abuse all the human rights they so desire. They will wait until it is safe to do, such as when America turns its back on Vietnam to focus on other pressing matters. Paying lip service to the West, then when the coast is clear, rear their ugly dictatorial head all over again. It’s textbook Communism. My people in Vietnam, don’t fall for this dirty trick.